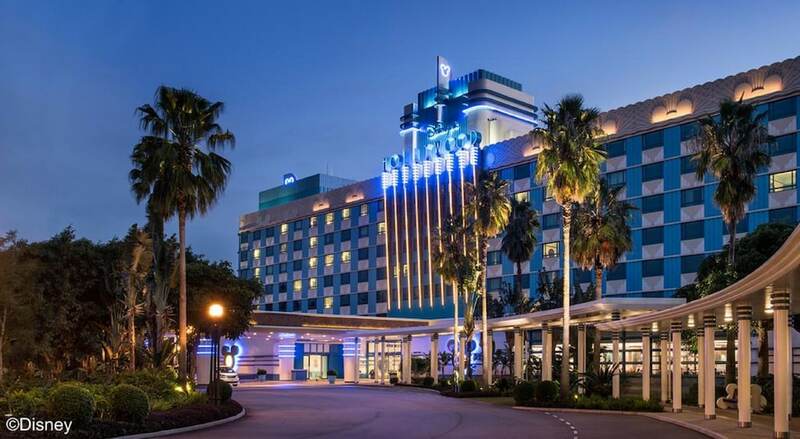 This family-friendly Lantau hotel is located near the airport, 1.3 mi (2.1 km) from Hong Kong Disneyland, and within 12 mi (20 km) of Citygate Outlets and AsiaWorld-Expo. Ladies' Market and Harbour City are also within 16 mi (25 km). Hong Kong Disneyland Resort Station is 25 minutes by foot. Along with 2 restaurants, this smoke-free hotel has an outdoor pool and a bar/lounge. Free WiFi in public areas, free valet parking and a free theme park shuttle are also provided. Other amenities include a snack bar/deli, a children's pool and concierge services. All 600 rooms feature thoughtful touches such as bathrobes and slippers, along with conveniences such as fridges and coffee makers. Other amenities available to guests include complimentary wireless Internet access, free wired Internet and LCD TVs. In addition to an outdoor pool, Disney's Hollywood Hotel provides a waterslide and a kid's pool. Dining is available at one of the hotel's 2 restaurants. The property also offers a nearby snack bar/deli. A bar/lounge is on site where guests can unwind with a drink. A computer station is located on-site and wireless Internet access is complimentary. This Art Deco hotel also offers tour or ticket assistance, an arcade/games room and gift shops/news stands. For a surcharge, a round-trip airport shuttle (available on request) is offered to guests. On-site self-parking and valet parking are complimentary. Disney's Hollywood Hotel is a smoke-free property. Chef Mickey – This restaurant specialises in international cuisine and serves breakfast, lunch and dinner. Open daily. Studio Lounge – Overlooking the garden, this cocktail bar specialises in international cuisine and serves dinner and light fare. Open daily. Hollywood and Dine – This restaurant specialises in international cuisine and serves breakfast, lunch and dinner. Guests can enjoy al fresco dining (weather permitting). Open selected days. Airport shuttle service is available on request from 10:00 AM to 8:00 PM. Contact the property in advance to make arrangements. Fees may apply. Contact the property in advance to make arrangements.